Our lovely vacation rental is a 2 story full furnished townhouse in a gated community. It has 2 bedrooms & 1.5 bath. The first floor is an open plan with a great room, combination living room & dining room. There is an eat-in kitchen fully equipped with all your needs to prepare any kind of a meal. A half bath is also on the first floor for your convenience. 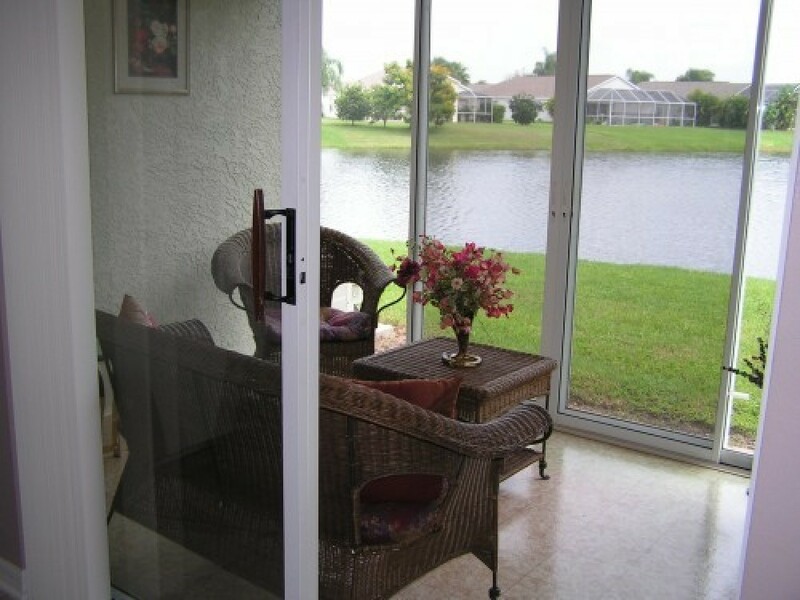 The glass & screened in lanai overlooking a tranquil lake is a wonderful place to relax with your morning coffee and watch nature all around you. The second floor has a master bedroom and guest room. The master bedroom has a beautiful lake view. There is also a large bathroom with a double sink vanity. If you are a golfer this is the place to bring your clubs. There are plenty of courses in the area. There are many restaurants nearby from casual to fine dining to satisfy any tastes. There are sidewalks throughout the community for your morning or evening strolls.Our townhouse is very clean and well maintained. We live nearby if there are any concerns during your stay. The townhouse is located between the I-75 & US 301 so you have easy access to both Bradenton, Sarasota, and the beaches. The townhouse has all your necessities for a comfortable stay, just bring your toothbrush. Enjoy the white sandy Gulf beaches of Anna Maria Island, Lido & Longboat Keys and the no. 1 beach - Siesta Key. There are many shopping areas nearby such as the Ellenton Outlet Mall with designer name shops, the quaint shopping area of St. Armands Circle with many small boutiques, and The Mall at University with a large variety of stores and restaurants. If you enjoy antique shopping you can have a fun filled day in this area. The Sarasota/Bradenton Airport is a 10 minute drive. Golfing, fishing, boating, horse back riding along the causeway are a few activities you can enjoy in the area. The Sarasota -Bradenton Rowing facility at Nathan Benderson Park is located 7 miles from the townhouse. There is the River Walk Park near the Bradenton Marina & Island Park at the Sarasota Marina, to enjoy a walk with a beautiful view of the waterfront. There is the Bollettieri Sports Academy training facility, IMG 6 miles away. The Major League training camp for the Pittsburgh Pirates is 3 miles from our rental. Also the Baltimore Orioles training is local, along with the Ringling Museum of Art, the Mote Marine Laboratory, the Florida Aquarium and the Van Wezel Performing Arts Theater, which has world class music and dance shows. These are a few of the 'must see' places while visiting in this area. There is a beautiful heated community pool area with volleyball, basketball, and tennis courts for your pleasure. The townhouse has 2 cable TV's with a DVD player and VCR. There is WiFi internet access and a desk for your laptop.The phone service provided is for local and long distance calls for anywhere in the U.S. & Canada. Ceiling fans are located throughout the townhouse for your comfort. The kitchen is fully equipped, there is a washer & dryer in the utility closet. All linens are provided, towels, sheets, & blankets. There are beach chairs for a day at the beach. An iron, ironing board, stereo, blow dryer are there for your convenience. $250. security deposit and 50% of rental fee at time of lease. $250. will be returned after your departure upon no damages occur and no extra cleaning is needed. Remainder of fee is due 30 days prior to arrival. We do not charge a cleaning fee but, if there is more work and time involved than a normal cleaning there will be a charge deducted from your security deposit. We were immediately impressed with the quick response to our enquiry about this vacation rental and the professionalism in handling the administrative details. Our family of four (including two boys 18 and 20) were very pleased with the unit. 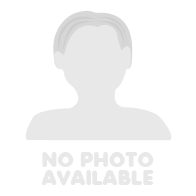 The condo was extremely clean, very well maintained, and nicely appointed. The kitchen, bedrooms, and bathrooms were fully equipped (including soap and shampoo dispensers) and the cooler, beach chairs, beach towels and Scrabble game were very much appreciated. The boys made good use of the first class tennis courts, basketball court, and pool. The gated community was very quiet and we felt safe in our walks to the courts and pool area. The few people we did meet along the way were friendly. In the morning, in the sun room, we enjoyed coffee while watching the wildlife in the pond and beverages in the evening while the sun set. We would definitely return to this vacation rental. The owners were very concerned that we had everything we needed and called and stopped by to assure themselves that we were happy. We were. Louise H.
Our family went over spring break to visit my parents and sister who live in Sarasota. The area the condo is located in is very nice. We went for walks in the morning, we used the basketball courts and pool and it was great! It is located next to stores so it is easy to run to grab whatever you need, yet the condo is tucked away in a very quiet area so you don't see traffic. The owners were very easy to communicate with which made us feel at ease when booking an out of state stay. The condo was very clean and comfortable for our family. They had a beach umbrella, floating toys and beach toys which the kids loved. We had a great vacation. Our family of four enjoyed our stay at this Bradenton Townhouse. This place is very clean and well maintained. The owners are easy to reach and went out of their way to ensure that we had everything we needed to enjoy our vacation. As we were staying over Christmas, they even took the time to put up a little tree and decorations. The location is close to grocery stores, golf courses, restaurants and lots of shopping. There is a great community pool as well as tennis and basketball courts close by that we enjoyed. We highly recommend staying at this property.